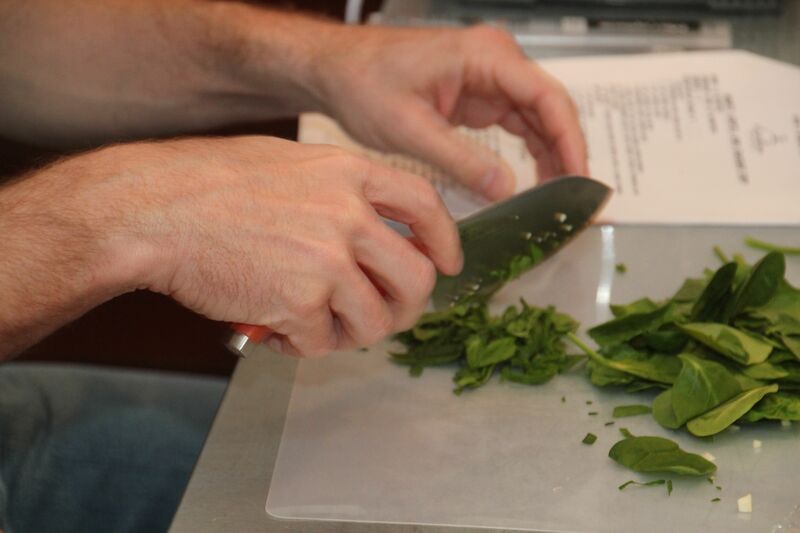 This past weekend we had two cooking classes at The Lark Inn. Both classes cooked the same menu and I am always amazed ad how different God makes us all. Both classes we delightful and just because of the different personalities in each class and how they interacted with one another each class had it’s own distinct dynamic and personality. I guess that’s just one of the many reasons I love teaching these cooking classes. Back to business. 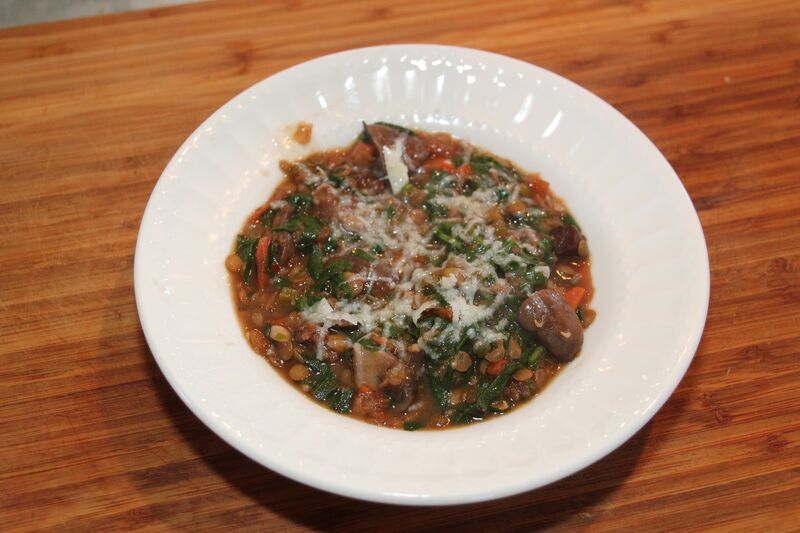 One of the recipes we fixed was HEARTY LENTIL AND SAUSAGE SOUP. I have always loved Lentil soup but . . . when you add the Italian sausage to it WOW! The flavor just goes into a whole new dimention. In addition to beinga great tasting soup , lentil soup is super (souper) healthy, packed full of fiber, very filling and only 6 points on the Weight Watchers Points Plus 2012 program. Did I mention hearty? Now that I have completed my sales work . . . here it is . . . you be the judge! 1) Heat oil in a large pot over medium heat. Add carrots, celery, onion and garlic and cook, stirring occasionally, until onions are translucent. Add sausage and cook, breaking into small chunks, until it begins to brown. Add mushrooms and continue to cook until mushrooms have released most of their liquid. Add lentils, beef broth, mushroom or chicken broth, tomatoes and their juice, wine and pepper flakes; cover pot and bring to a boil. 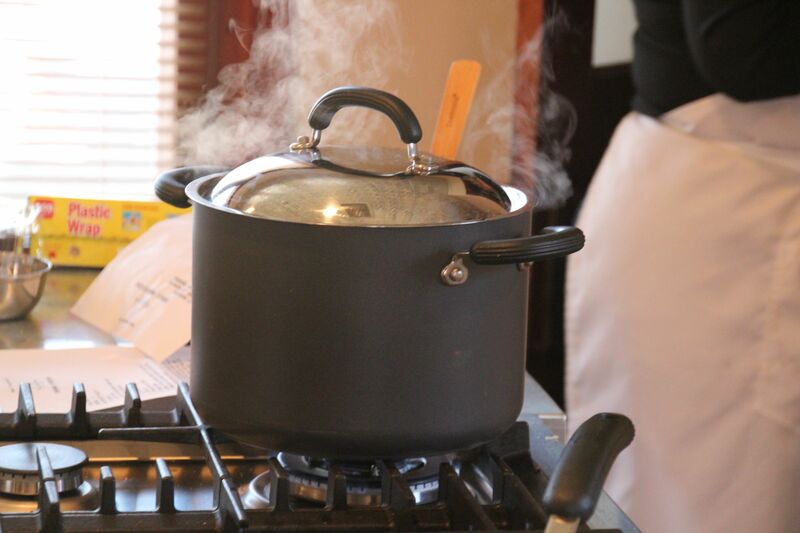 Reduce heat and simmer until lentils are tender, about 30 minutes. 2) Add spinach and salt and pepper, stir well and simmer for 1 to 2 minutes more; stir in thyme. Ladle soup into bowls and top with Parmesan. If you enjoyed this positing, please subscribe . . . there is a lot more to come! This entry was posted on January 16, 2012, 7:13 am and is filed under Cooking and Baking, Uncategorized. You can follow any responses to this entry through RSS 2.0. You can leave a response, or trackback from your own site.